Put the rainbow in reading! 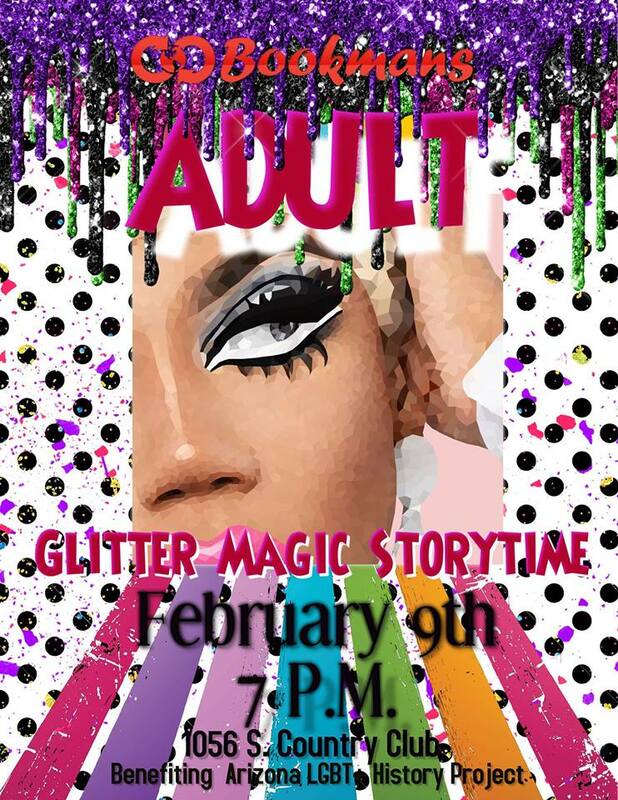 Join us for Glitter Magic Storytime featuring Arizona’s best, brightest, and brilliant gender non-conforming storytellers. Arizona LGBT+ History Project and Bookmans Entertainment Exchange join forces to welcome Sister Sur Mon Visage who will be reading some of her favorite tales. Don your favorite feather boa or sparkly hat and help us celebrate diversity with stories, bubbles, and lots of fun!